The International Postgraduate Research Scholarships (IPRS) scheme is funded by the Australian Government and provides tuition fees to top quality international postgraduate students who wish to enrol in a research degree at Australian universities. Applications are assessed on academic merit and research potential. 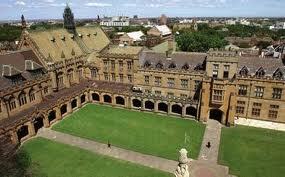 In addition to the IPRS, the University of Sydney awards an International Postgraduate Award (IPA) to IPRS holders. The IPA provides a stipend/living allowance to all IPRS recipients. Be an international student commencing full time enrolment in a Higher Degree by Research (HDR) at this University. If you commenced your HDR in the previous year, but due to the timing of your application and subsequent enrolment were unable to be considered for an IPRS, you may apply and be considered for an IPRS during the current round of IPRS application. Students in this situation should complete the IPRS Special Application Form (112kb pdf). This form MUST be received at the International Student Office by 31 August of the current year. Not hold a research qualification regarded to be equivalent to an Australian Research Doctorate degree, or, if undertaking a Research Master’s degree, not hold a research qualification regarded to be equivalent to or higher than an Australian Research Masters degree. Not have held an AusAID scholarship within two years prior to commencing the IPRS. Not previously have received an IPRS, unless the previous IPRS was for a Master by Research degree that you have completed and you are now applying for a doctorate research degree. Note that only successful applicants will be notified. In addition to the IPRS awards, commencing students may also be considered for the University of Sydney International Scholarship (USydIS). The USydIS is open to all research disciplines, however participation in the USydIS program each semester is at the discretion of the Dean of each Faculty. No application form for the USydIS is required and eligible applicants will be considered during the IPRS selection process in October/November for scholarships to commence in Semester 1 (March), and in early April for scholarships to commence in Semester 2 (July). The USydIS will cover tuition fees and a living allowance similar to the IPRS. For more detailed information about both IPRS and USydIS awards, please consult pages 11 and 12 of the Postgraduate Research Application form (271kb pdf).